Version 1.6 includes ASO Keywords, AppFollow API v1.0, renewed personal account and support for Windows Phone apps. 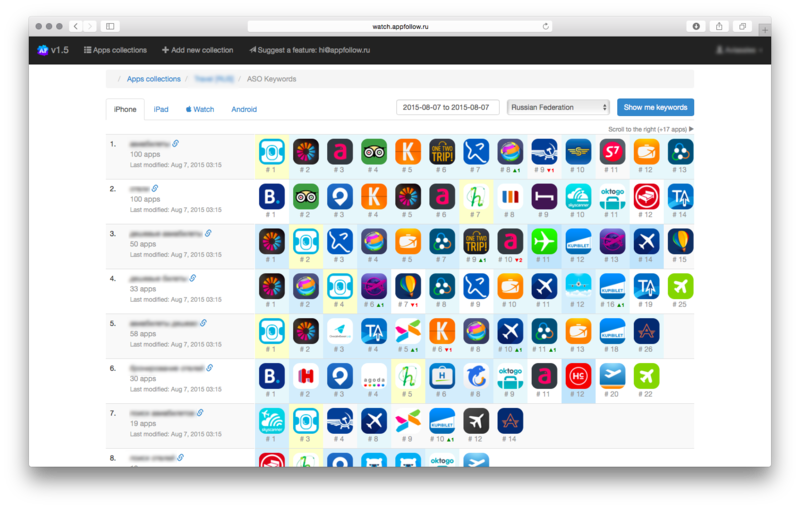 We launched our first ASO-optimization tool — search position matrix for App Store and Google Play. 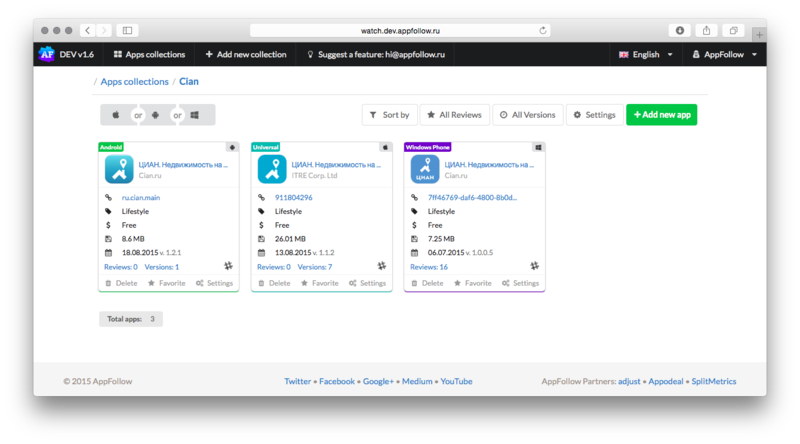 This view has huge advantage as it allows to evaluate all your apps collection at once instead of showing results only for one app at a time. With the help of Keywords module you can quickly find out if which words out of the search phrase are in the name of the app, how often these words are used, how competitors apps are distributed within your keywords search semantic core and so on. Keywords module killer feature is prediction of keywords used in competitors apps. The more precise your keywords search semantic core is, the better AppFollow can suggest which words are used as keywords by your competitors. 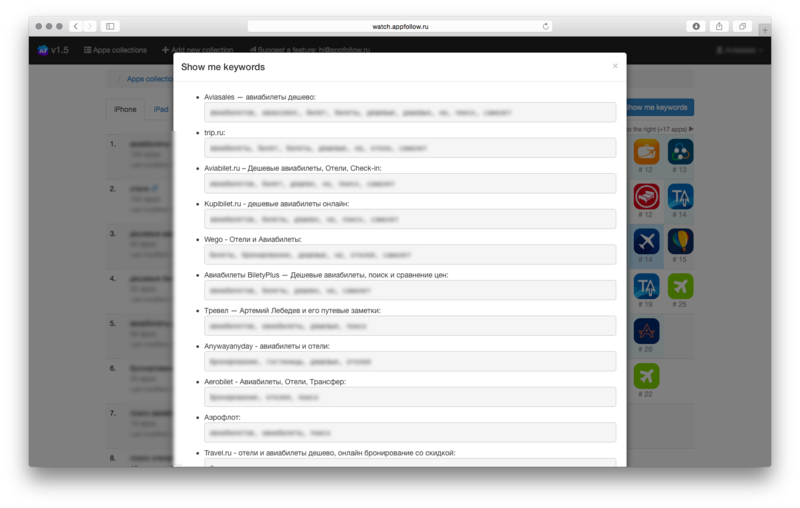 Currently Keywords module is available in beta only for premium AppFollow users. 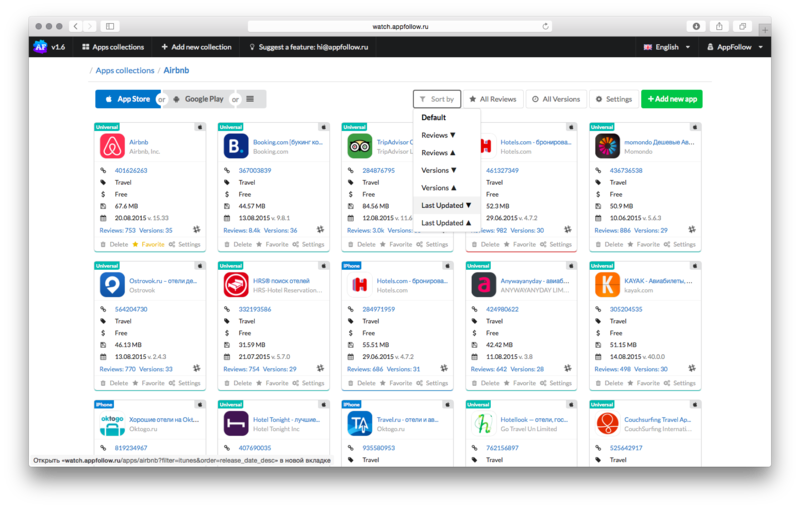 If you need to create your own dashboards or real-time monitors or any kind of custom reports, you can use AppFollow API. It’s very simple, GET and POST requests, answers format is JSON. We currently provide access to collections, apps, reviews and ratings. 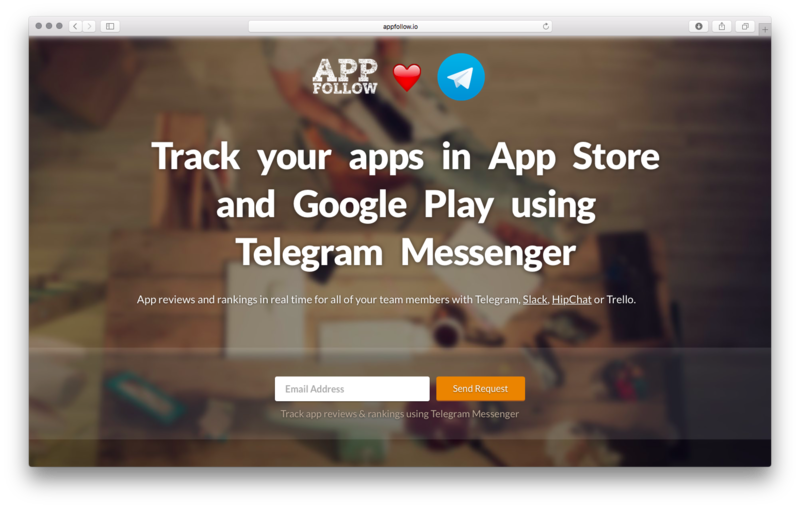 If you want to get access to AppFollow API, please, contact our Customer Support — support@appfollow.io. 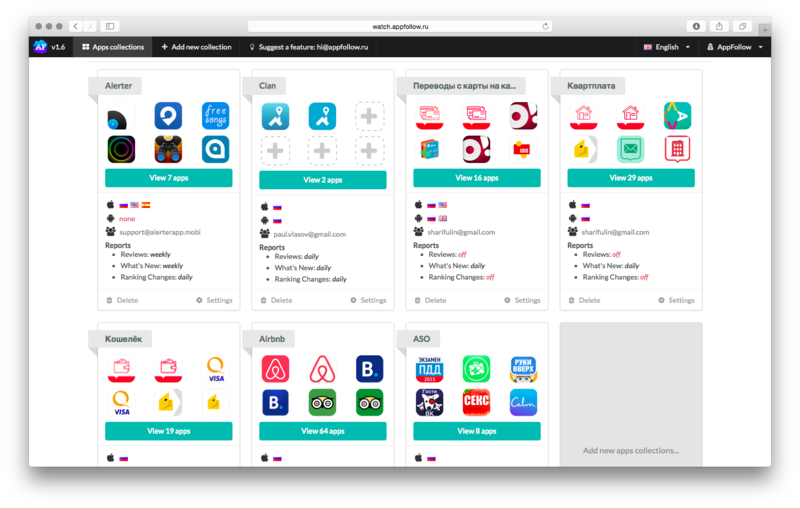 We improved look and feel of your personal accounts: app collections, settings, and as well quite vivid app cards. New personal account works great now on mobile devices. We decided to add support of Windows Phone, so AppFollow users won’t have to use a separate tool to collect data from Windows Phone Store. That’s why you now can add Windows Phone apps into your collections. There will be all the same features for Windows Phone Store as there are for App Store and Google Play: search and adding apps to your collections, meta-data analysis, reviews, reports and notifications in Slack, Trello and e-mail. Windows Phone Store will be available for all of our users. Stay tuned! If you need an integration with Hipchat or Telegram, you can now claim this on our web-site. If you need any other integration, just drop us an e-mail. 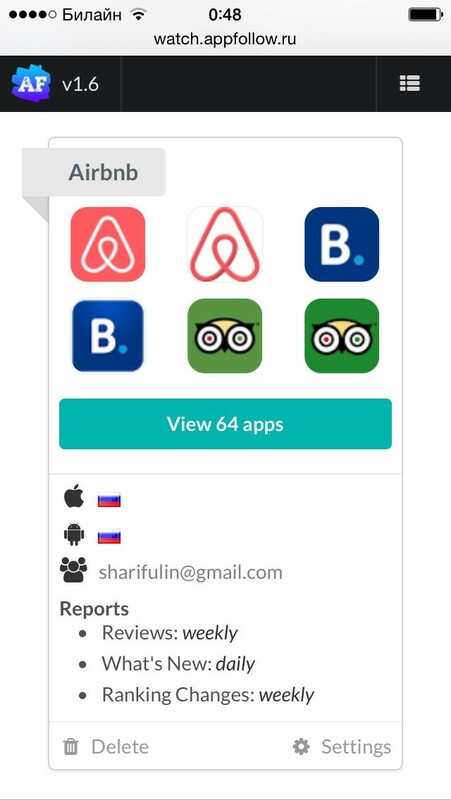 Follow us on Twitter, Slideshare or here on Medium, and AppFollow will help you to track competitors apps in App Store, Google Play and Windows Phone Store.